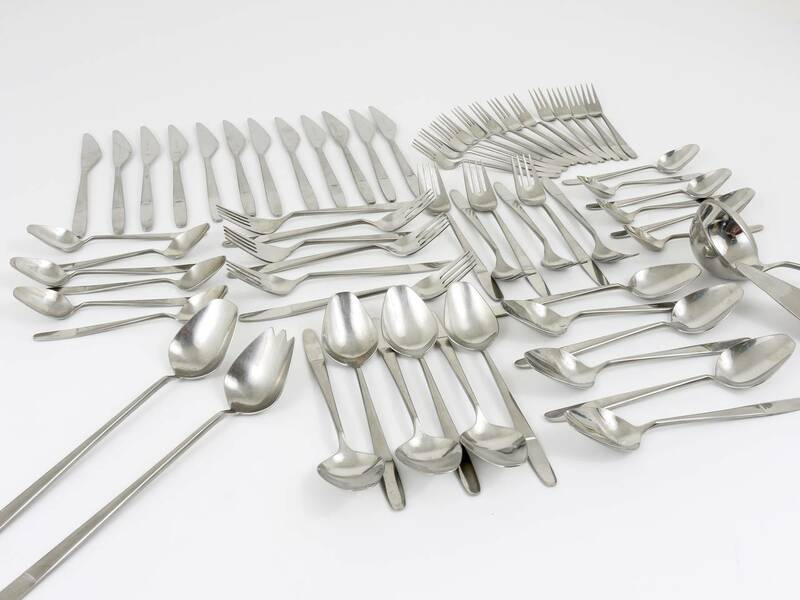 Beautiful modernist flatware from Austria, model 2070, designed by Helmut Alder, executed by Amboss Austria in the 1960s. 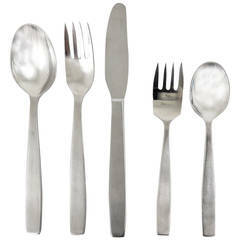 High-quality flatware, made of stainless steel. 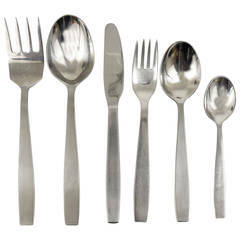 For 12 persons, consists of 12 big spoons, forks and knives and 12 smaller spoons and forks. 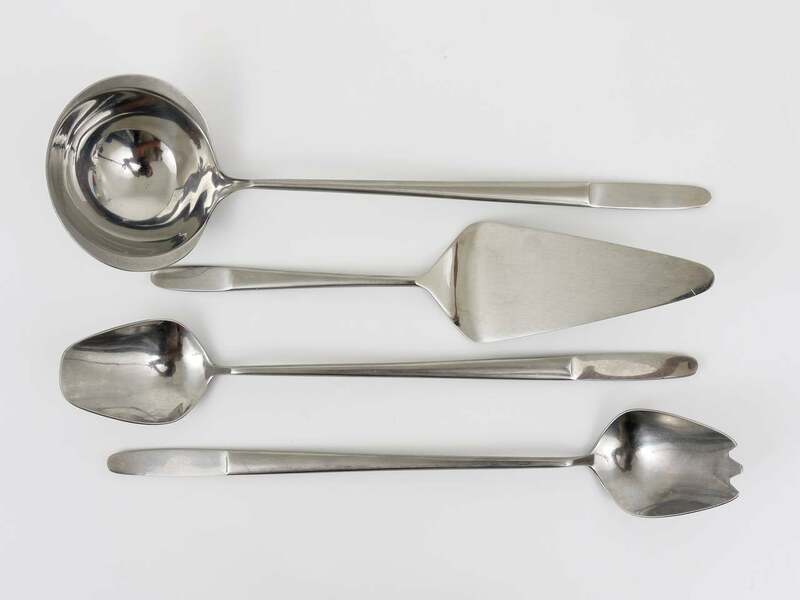 There is also a ladle, a pair of salad servers and a cake server included. 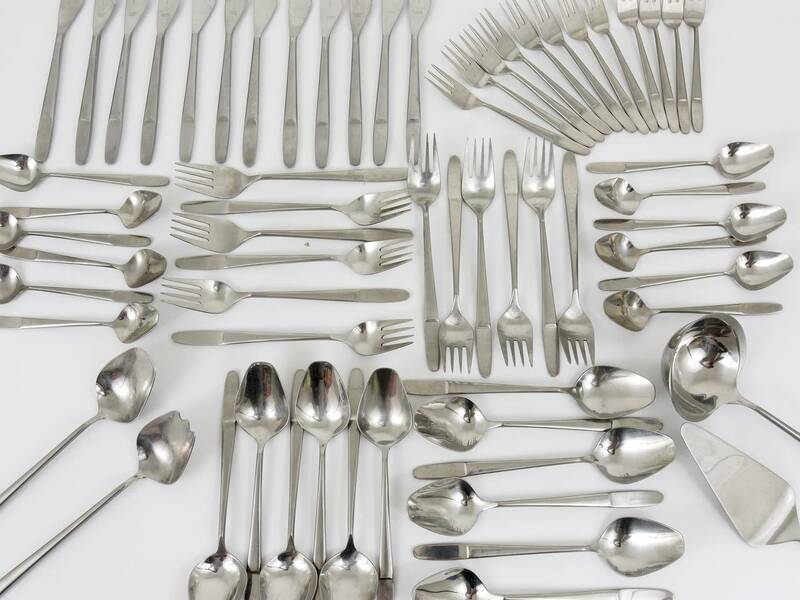 64 pieces. 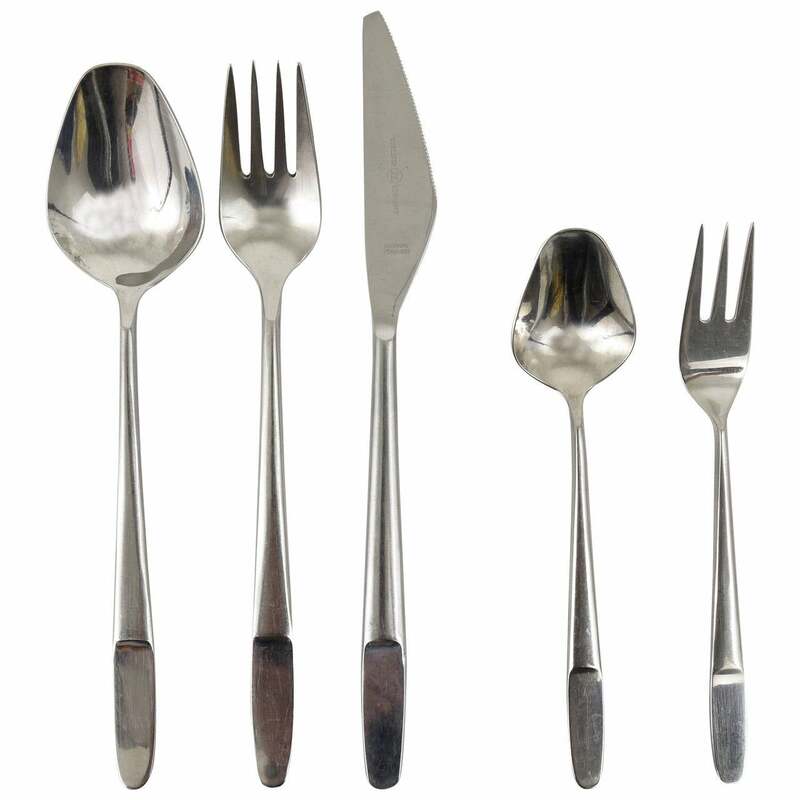 In very good condition with marginal signs of wear. 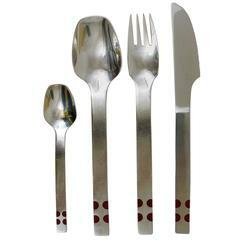 We offer additional matching flatware by Amboss in our other listing. 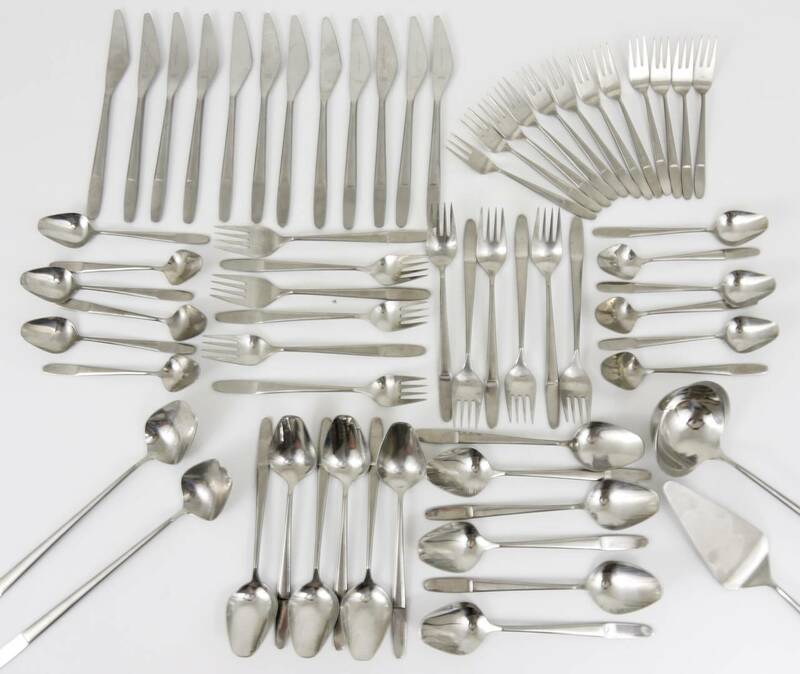 Georg Jensen Mitra Stahlbesteck. Kompletter Service für 12 Personen. 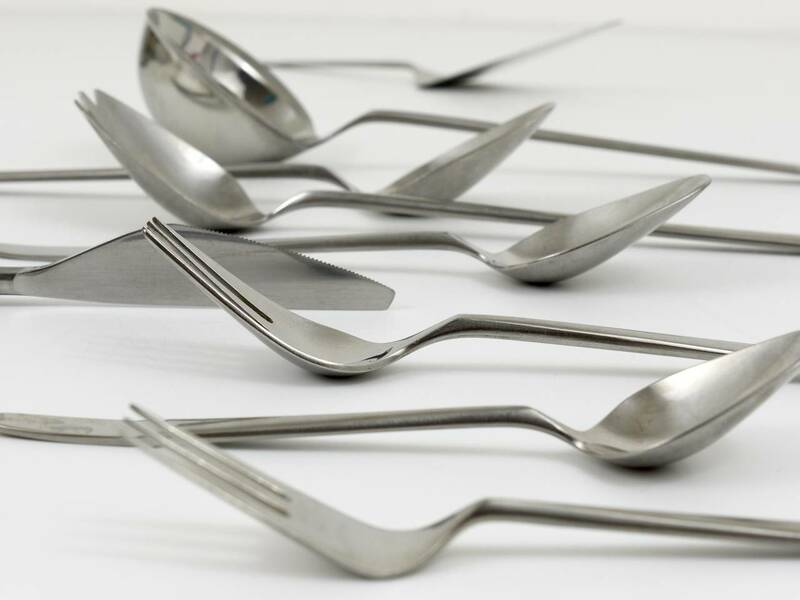 Gestempelt. Misst 20,5 cm. 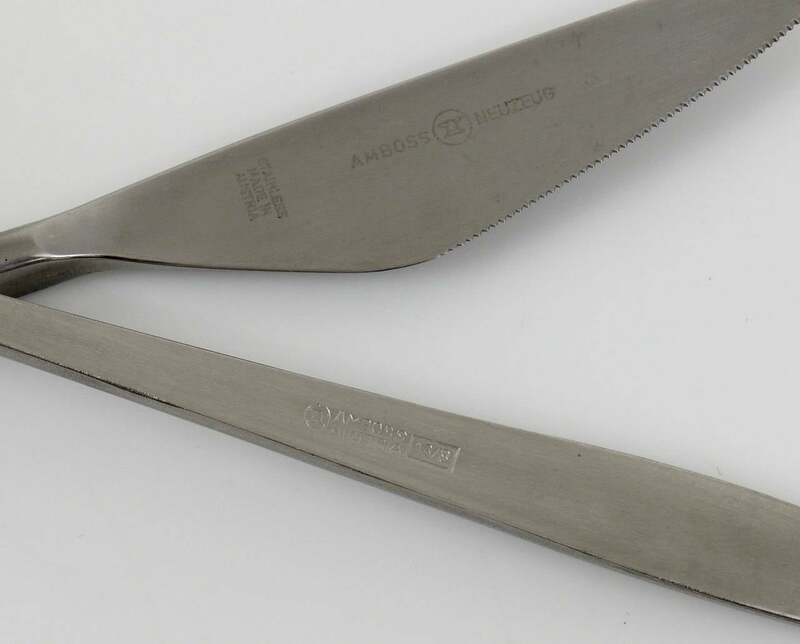 (Messer) In sehr gutem Zustand. 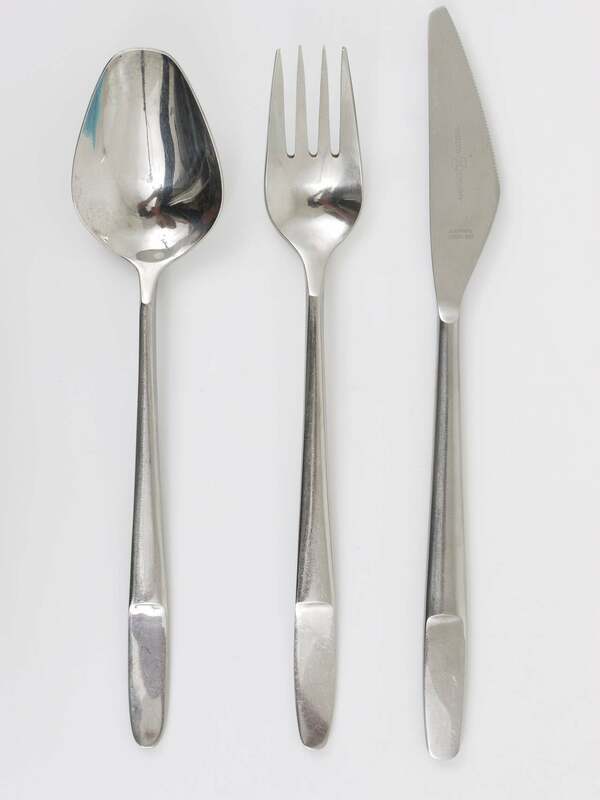 Salatbesteck von WMF in den 1960er Jahren in Deutschland hergestellt. Leicht geschwungene Griffe aus schwarzem Kunststoff.